Terri-Lynn is a Haida musician, activist, artist, and lawyer. For the last 40 years, she has committed to finding ways to contribute to the revitalization of Haida music, language and culture. Her 2011 album “New Journeys” was a first for Haida music, featuring songs in the Haida language. In 2000, she and five longstanding singers of Haida songs formed “The Haida Gwaii Singers Society” with the goal of educating Haida people and the general public about the rich musical traditions of the Haida. Her work has contributed to the efforts of the Haida peoples to keep Haida music and language alive and and thriving. As a lawyer, she has represented the Haida Nation at all levels of court, including reconciliation negotiations, challenging the Enbridge pipeline, and protecting old-growth forests of Haida Gwaii. Her latest exhibit and book “Out of Concealment” conveys origin and oral traditions from the Haida Nation about female supernatural beings. Terri-Lynn bridges traditions in her work, combining the ancient and modern to create a new cultural landscape. Terri-Lynn is a musician, activist, artist, and lawyer who has dedicated herself to the continuation of Haida language and culture. Born in Haida Gwaii off the west coast of Canada, Terri-Lynn has been a promoter of Haida music and language since the age of 13, when she was drawn to the songs her centurion great-grandmother and grandmother sang. Logo and Artwork created by renowned artist, Robert Davidson, CM, OBC. Terri-Lynn's latest album (August 2017 release date) bridges cultures, blending ancient stories with contemporary music. An exciting exhibit and companion publication that showcases female Supernatural Beings of Haida oral traditions, exhibited at the Haida Gwaii Museum June - December 2017. Above are Terri-Lynn's Haida (and legal) names. "Lalaxaaygans" was given to her by her maternal great-grandmother, centenarian and song custodian Susan Williams. It is an ancient Haida name that can be best translated as “Beautiful Sound”. "gid7ahl -gudsllaay" was the name held by her great-grandmother. 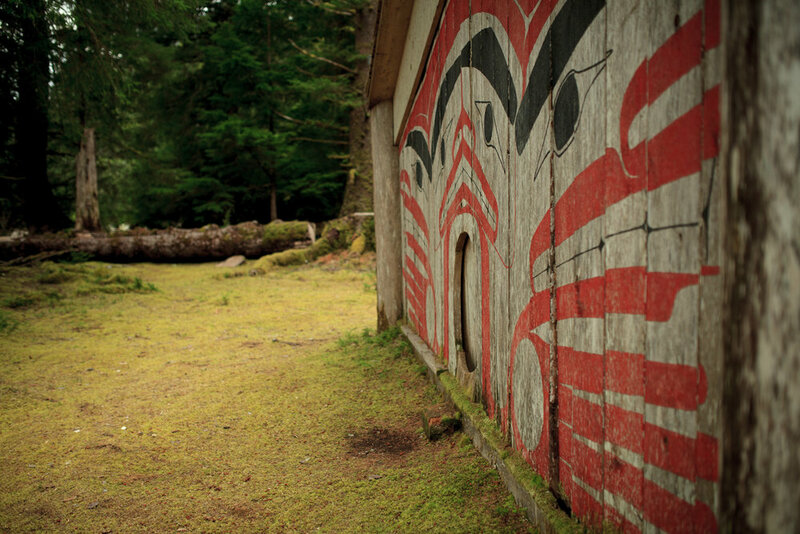 Helping to perpetuate Haida language and culture. traditions to help guide us in our collective path forward. Listen to the new album "Grizzly Bear Town" on Spotify!